Mrs. Jyoti Chopra is Vice Chairperson of International Centre for Women and Child (ICWC) an internationally fames NGO involved in sanitation, Environment Protection, sewage, water supply drainage, low cost sanitation, solid and liquid waste management, Women’s health, education, personal hygiene, women welfare, child care, child development and nutrition & legal empowerment of women. Work area includes project formulation to project implementation. Interacting with communities, government bodies and representatives of international Organizations. Professional Qualification: Achieved B.A. (Hons) psychology degree from Delhi University, Post graduate diploma in Guidance and counseling, Post Graduation diploma in office management from faculty of Management studies Delhi University. 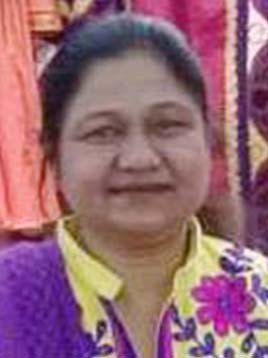 Key Responsibilities undertaken: As a programme officer of Sulabh International institute of Health & Hygiene from 2000 to 2005 and as a Vice-Chairperson of International Centre for Women and Child (ICWC) since 2006. •	Awareness and Women Empowerment among Rural and Slum Women. •	To conduct IEC&M (Information, Education, Communication & Motivation) Programme and workshop on Rural water supply, Hygiene Education, River Pollution & Waste Management. •	To organize workshops on Gender Sensitization and IGPRW (Income Generation Programmes for Rural Women) to form LWS (Local Women Samiti) and to develop Self Help Groups. •	To conduct Adult Literacy Programme for urban and rural poor women. •	Networking with International, National Organisation such as UNICEF, WHO, NACO, DSACS, PSI, PFI, JBIC, Directorate of Family Welfare, Delhi Government and Central Pollution Control Board, Central Social Welfare Board, Haryana Women Development Corporation, National Commission for Women, Universal Elementary Education Mission (U.E.E.M. ), Delhi State AIDS control Society (DSACS) of New Delhi, Ministry of Environment and Forest & Mewat Development Agency, Haryana. •	Conducted regular IEC training programmes for women volunteers on health, hygiene and low cost sanitation programmes in slum and rural areas at SIIHH. •	Conducted awareness programme for school children in 50 schools of urban Faridabad under YAP-II programme from 2006 to 2009. •	Conducted training programme on safe water system to 1500 urban slum women in 12 slums of West Delhi. This project was 1, 50,000 population funded by WHO 2001-2003. •	“Integrated health care in Urban Slum”, It includes training programme of master trainers and resident community volunteers (2500 No. from 210 slums of West Delhi- funded by UNISEF)Expertise in organizational framework of NGOs, and distribution of portfolios among its members involves devising of strategies and operational pathways, supervision and planning of financial and other policies and various other programmes of the organization such as -Financial and Administrative Supervision. , Global, Environment. Socio-economic scenario. Community Development, Developing Human Resource and Finance, Socio Cultural Perspective, Social Entrepreneurship & Leadership. Development of Information, Education & Communication (IEC) material, event management & reporting and documentation.